Let me tell you. I am in a bit of a quandary. (Hind sight insert) Oh, and let me also warn you of the plethora of photos at the end of this post. 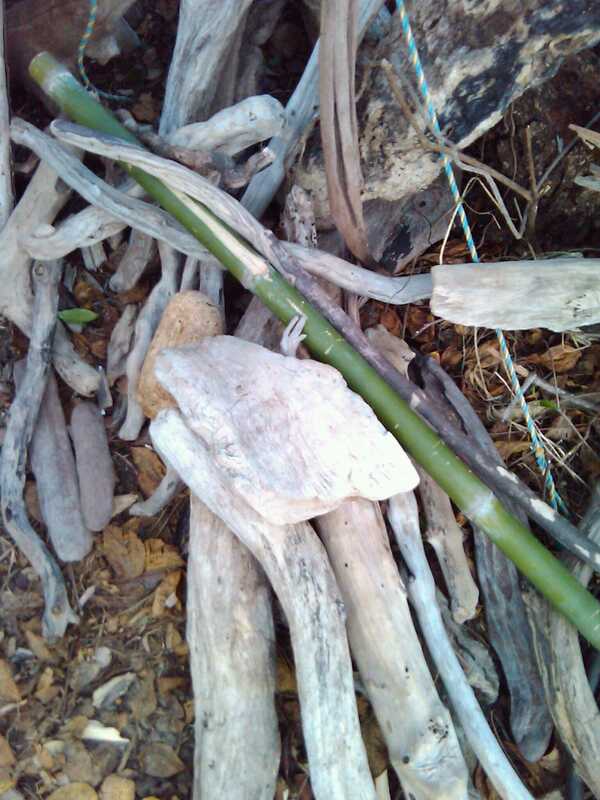 We have our Bamboo. We have lots of it, and we’ve been experimenting with things. In particular, we’ve created an instrument for one of our daughters. I even lashed out for a saw. A Hacksaw to cut the bamboo easier. Now, let me lead you to the reason for titling this post as I have. Both Tina and I are Interweb Geeks. We both know how to effectively use a search engine. Crickey! I’ve been using search engines since before Google was born. I can clearly remember when Google really WAS your friend. Ad free and promising not to cache your searches. Anyway, getting back to Bamboo for a bit. I bought the hacksaw. It was cheap. I even bought an 18 tooth blade to go with the 24 tooth that came with it. Hacksaw blades over here are measured in teeth per 25mm. Which is about the same as teeth per inch. I reasoned that a slightly ‘rougher’ blade might work better. Why? Because both The Legend of the North and his cohort in Legendarianism, ‘The Lad’, had suggested that I just buy a ‘proper’ saw. They warned me that a hacksaw would take ages to cut through the thick stuff. But, I bought a hacksaw. And it works well. For the thin stuff. 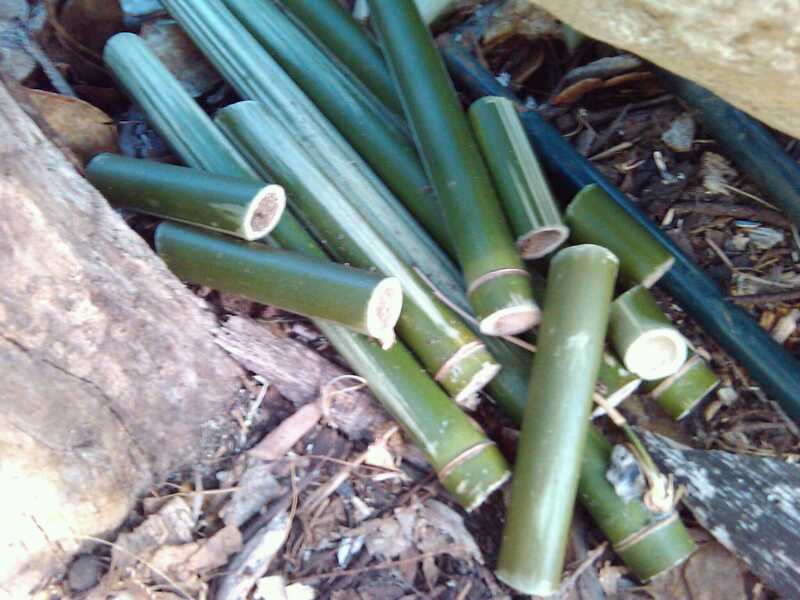 Of course, to successfully cut bamboo, you need to cut slightly into the opposite side of the tube from where you make your main cut. It’s like ply or laminate sort of. 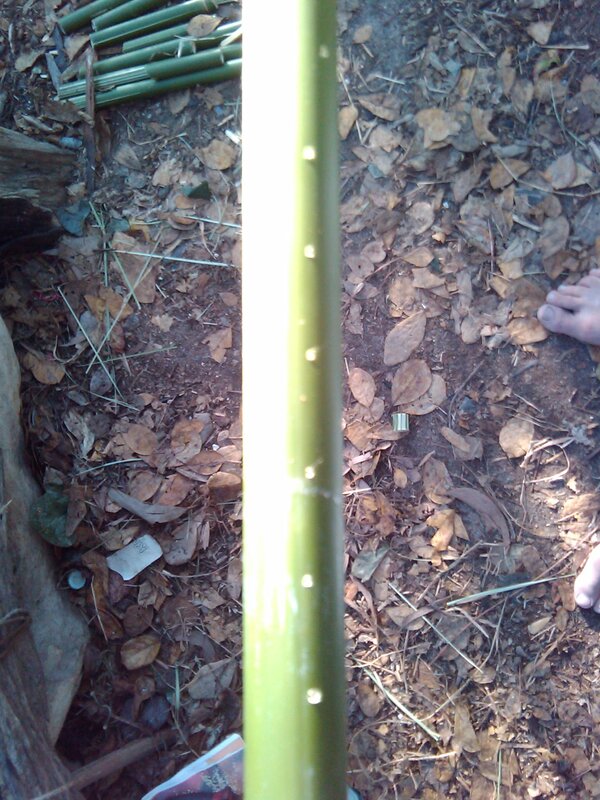 Even though bamboo is round, it has a waste side that can rip and fray as you cut through the bark. To prevent it, make a saw cut on the opposite side of the tube first. Why haven’t we Googled this stuff yet? I mean I’m a sceptic. I was taught many stories and skills over the years, but always got second opinions. The Internet was my encyclopedia once I learnt how to use it properly. But I didn’t. I relied on my skills. Stuff that has been festering in the far corners of my brain. Just waiting for a chance to have conscious fame for 15 second. But. I was wrong on the saw in part. So, let me advise you now. 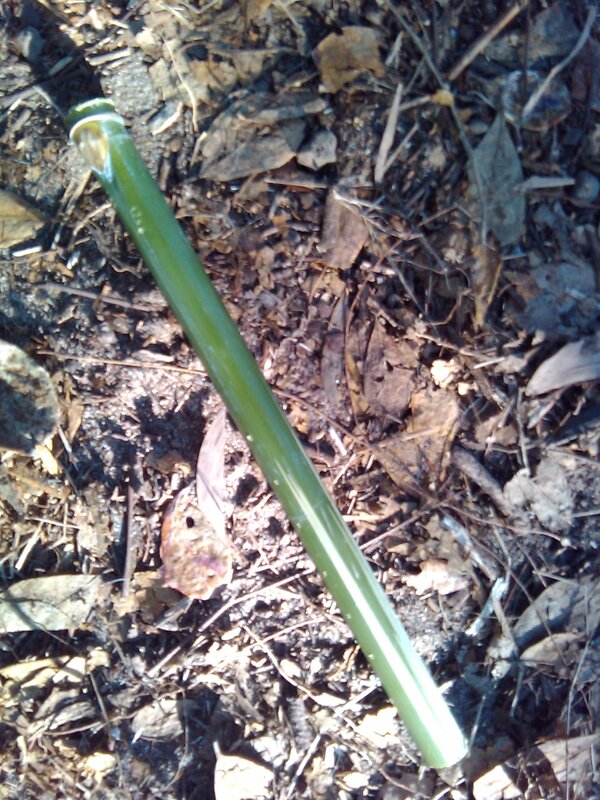 A hacksaw is perfect for bamboo up to 30 to 40 mm in diameter. After that, I recommend a good quality, sharp wood saw, with wide teeth. Of course I need to Google that to confirm, but that’s what I reckon 😉 But then, The Legend of the North and The Lad did warn me. So. 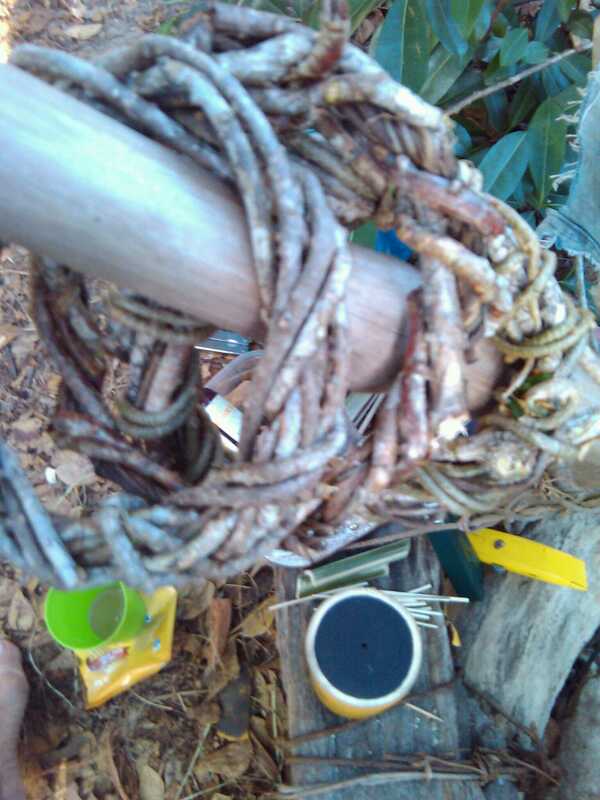 I am creating a couple of instruments for one of our kids. I had a ‘Moment’ earlier this week. Just for fun I made this thing. I can’t tell you what it is lest the daughter read this post. But she’s clever. She’ll work it out anyway. I made this thing for fun. It didn’t work. 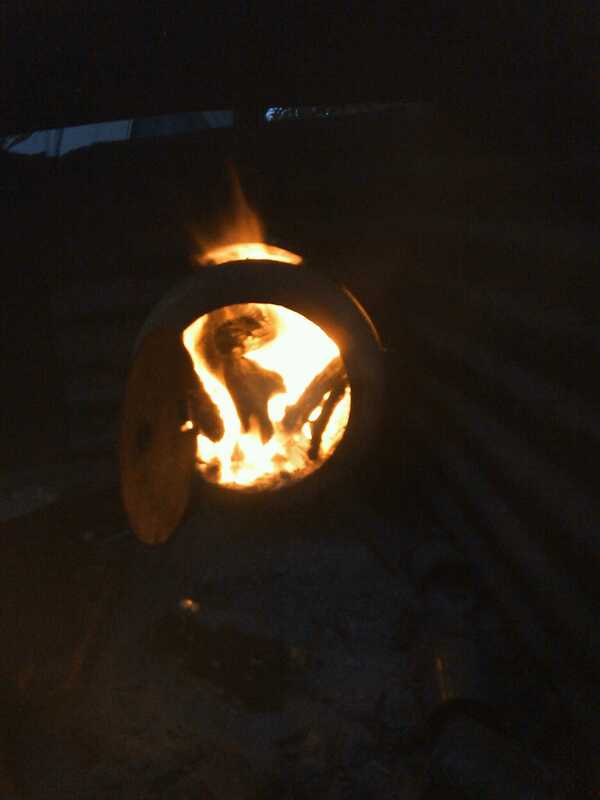 So I experimented with a little fire to harden things up. Now, I can barely play a Blues Harp, let alone a guitar. But Tina is not only artistic, but musical too. So she tested my prototype. It made *music*. I have rarely had moments in my life where something I’ve created by hand has reduced me to tears. But when this ‘piece of wood’ was coaxed into making a sound, I cried. I know it sounds trivial. But one of those other special things that were partially created by my hand (and made me cry) will be the recipient of this gift. And I know that she will be able to create music (if she wishes to) from what I’m creating. It’s trippy. We’ve created three working instruments based on Tinas knowledge, my woodwork and a little mathematics to tune them. 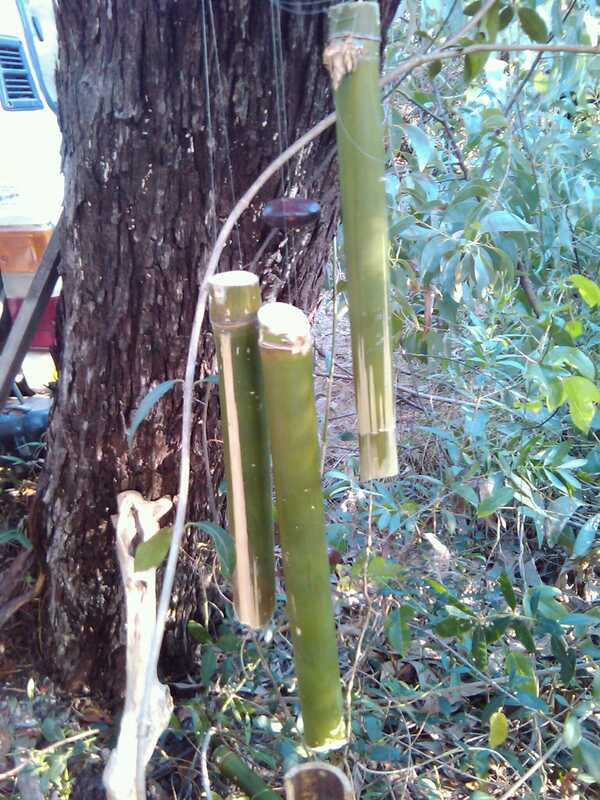 We’re learning to tune bamboo wind chimes by listeming to the prototypes we’ve made already. It’s weird. I’ve thought about Googling for ideas. Especially when it comes to tuning wind chimes. But I know the basics of tuning. You know. Length. Diameter. Where the striker hits the chime. So I’ve just played. And I’m proud to say say some of my chimes just sing. Others need minor mods and they’ll sing too. 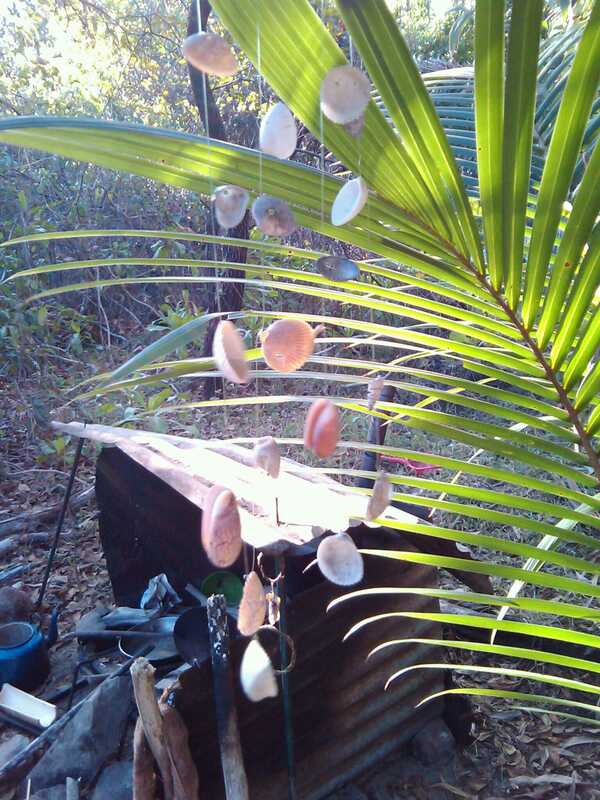 It’s like Tinas shell mobiles. Some are designed to move in the wind silently. Others are made to connect, make contact and sing as well. The delicate sound of shells kissing is almost like sea, but far gentler. Googling is good. But remembering stuff you’d forgotten you knew is a far richer experience. 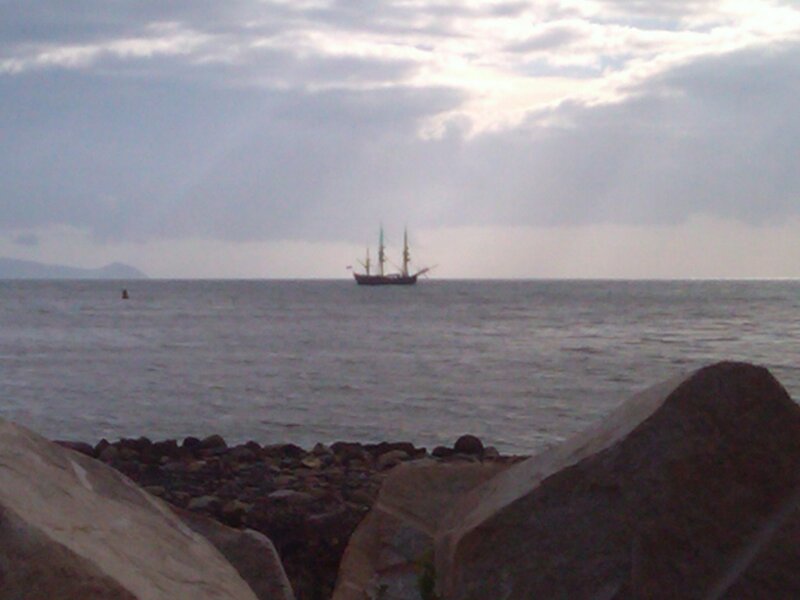 Random pics follow, including one of the HMB Endeavour replica moored at the leads to Cooktown harbour. She was to deep drafted to navigate the channel into the wharf. 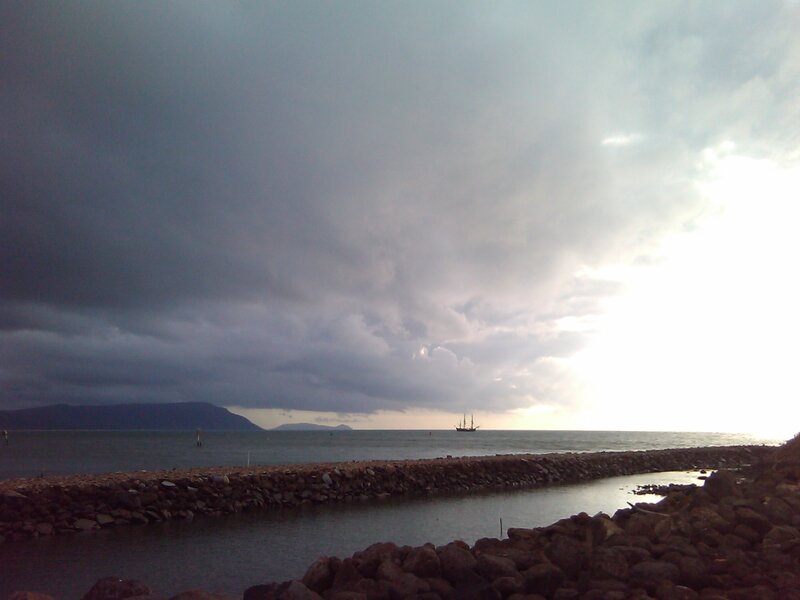 She also left a day early, due to the 20 knot South Easters blowing strsight into her bow out there. Apperently the crew had a reall rough night on Friday. The decision was made to depart Saturday morning, rather than Sunday. I don’t blame them either. A 2 metre swell would be rough on that old coal carter, let alone having to cater to the wind. 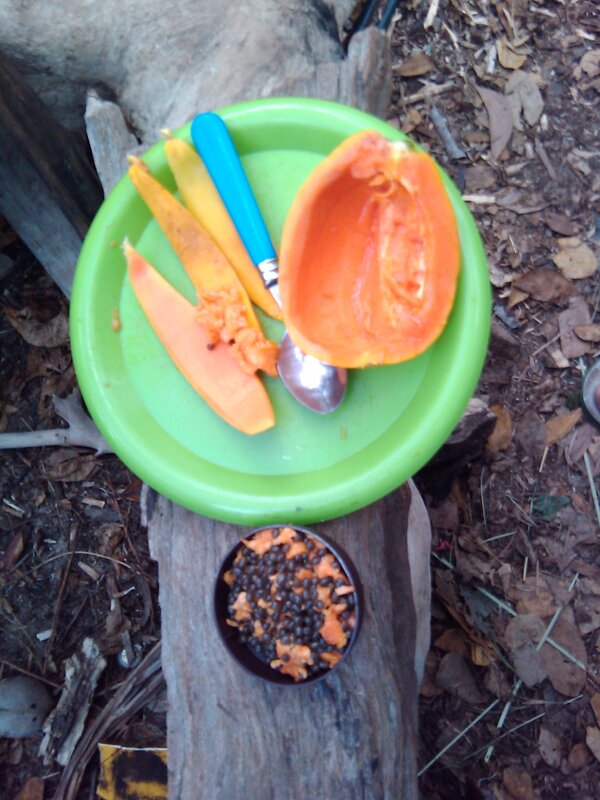 Oh, and we scored a tree ripened Red Paw Paw from the markets. We’re going to sprout the seeds. 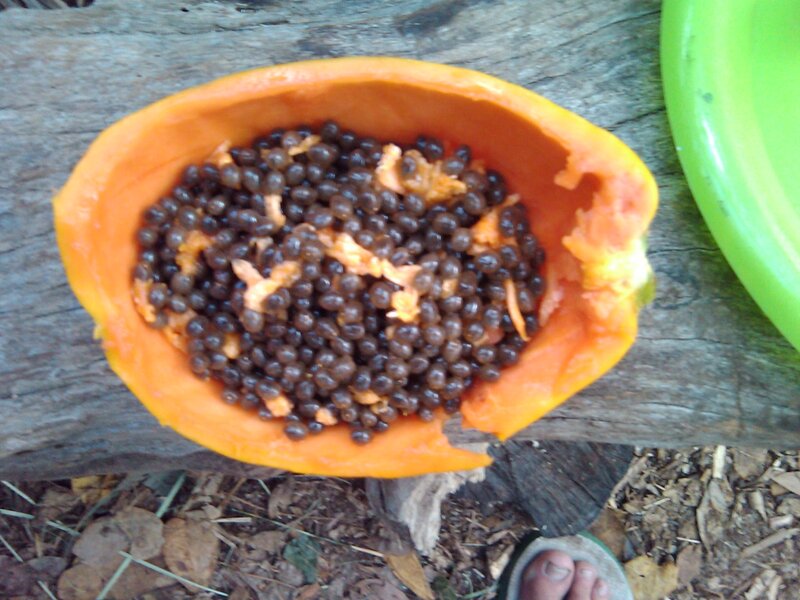 The ONLY way to eat Paw Paw (Papaya) is tree ripened. Otherwise they just taste bitter and you have to add sugar or honey to re-sweeten it. The best standard Paw Paws I ever ate were grown at ‘Top Garden’ in Cedar Bay in the early Eighties. The trees were on average five metres tall, with large, bulbous fruit. 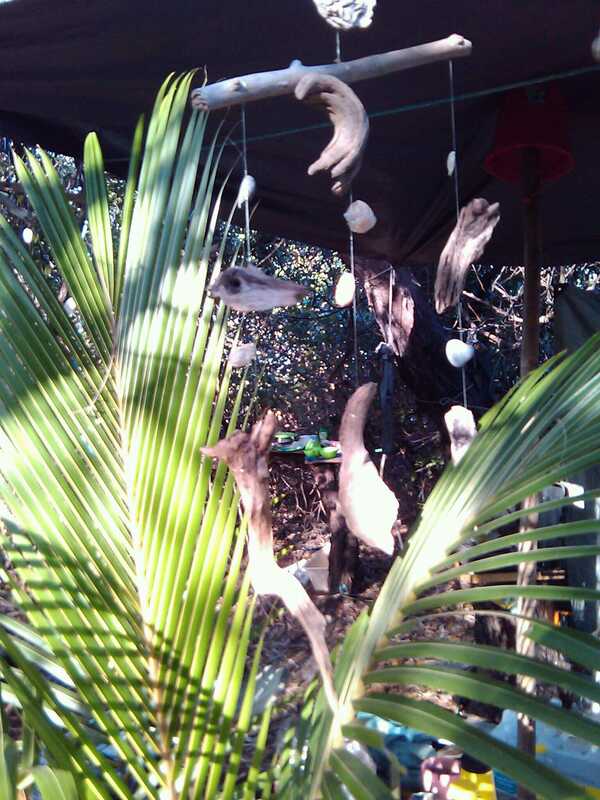 We didn’t have a problem with flying fox. They may have claimed one or two per tree. The rest were ours, picked yellow with a net on the end of a pole. The sweetest things you’ve ever tasted.